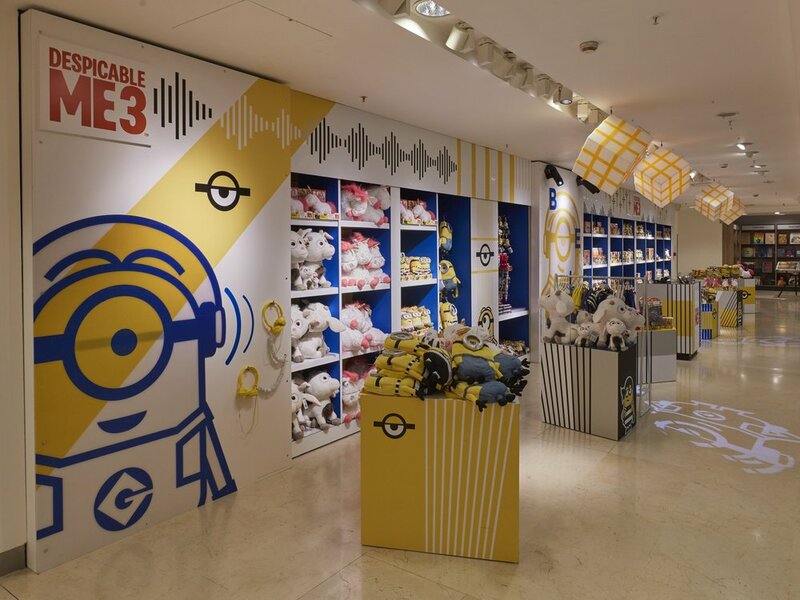 Everyone loves the Minions: Creating a bright display for this seasons blockbuster movie merchandise at Selfridges, we partnered with Oakwood, to produce a jaw dropping area for the toy department. Installed to Selfridges London, the design was based on 80’s style theming for the UK launch of Despicable Me 3. Propability produced various features including plinths, a lenticular interactive wall with audio points for customers to listen to the DM3 soundtrack and live lit acrylic Rubix cubes. Propability also handled a highly complex vinyl install for all existing fixtures.